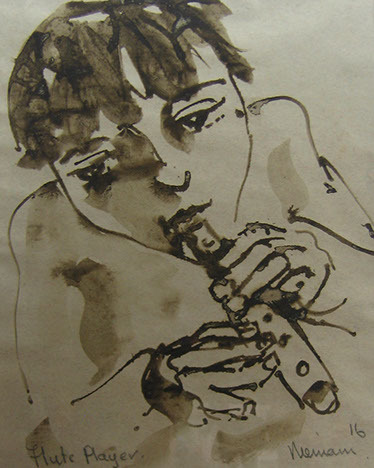 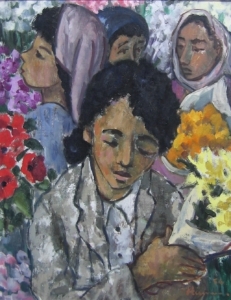 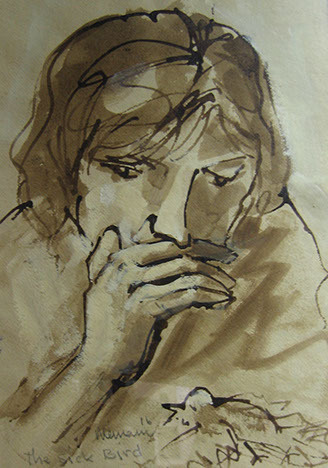 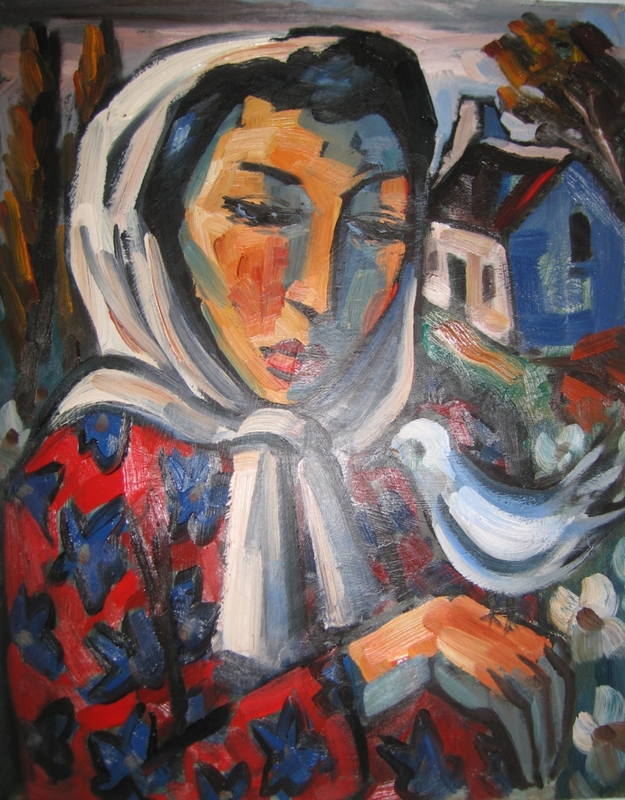 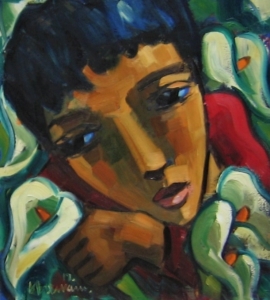 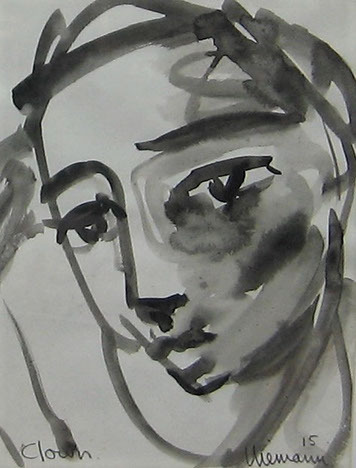 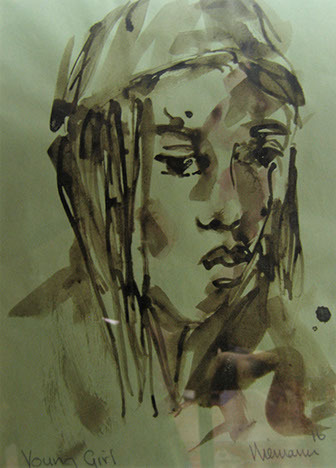 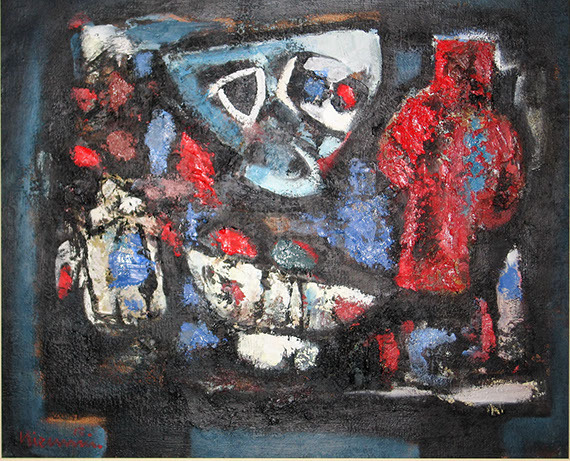 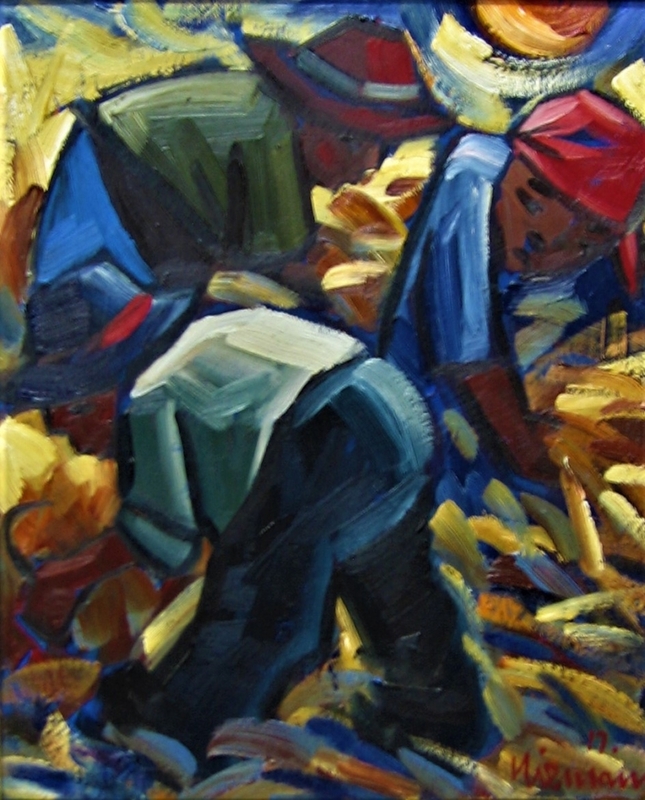 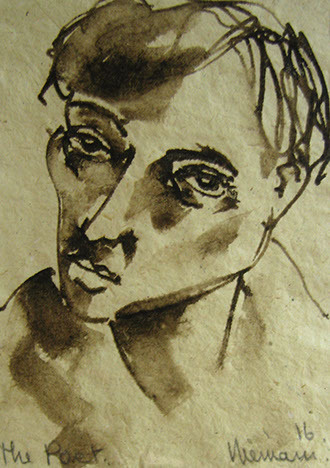 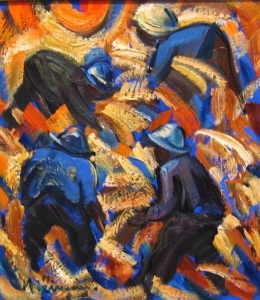 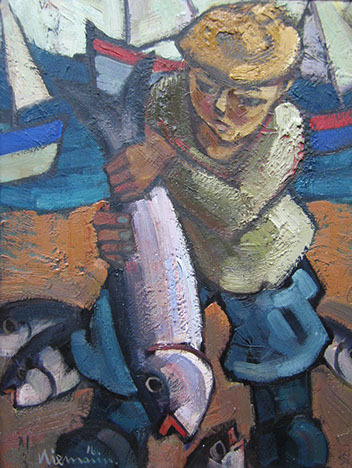 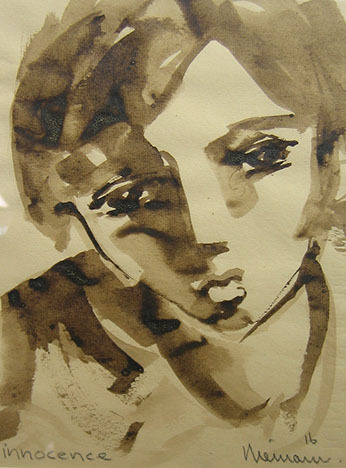 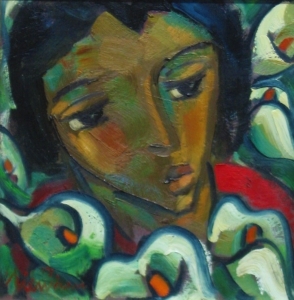 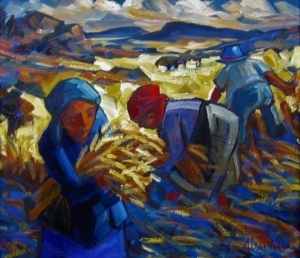 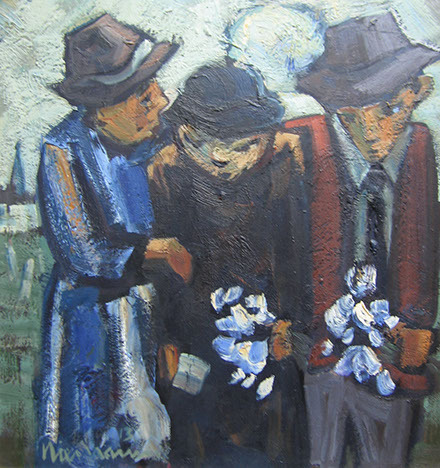 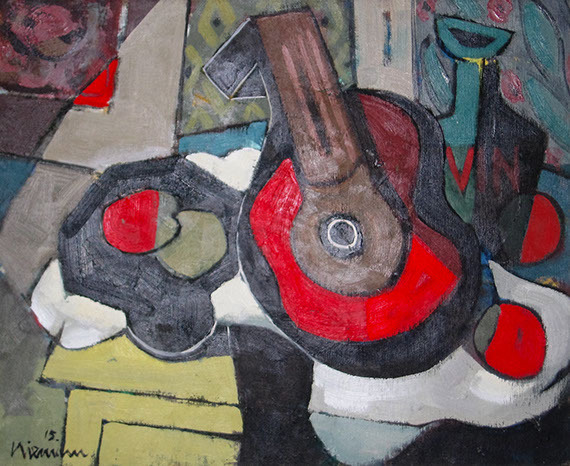 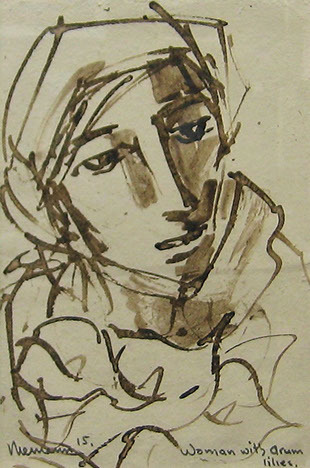 Hennie Niemann was born in Bloemfontein in 1941. 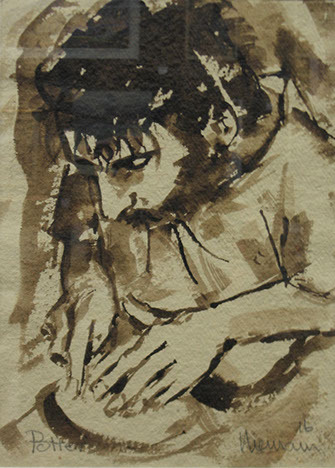 He attended school and university in the city, where he qualified as a teacher. 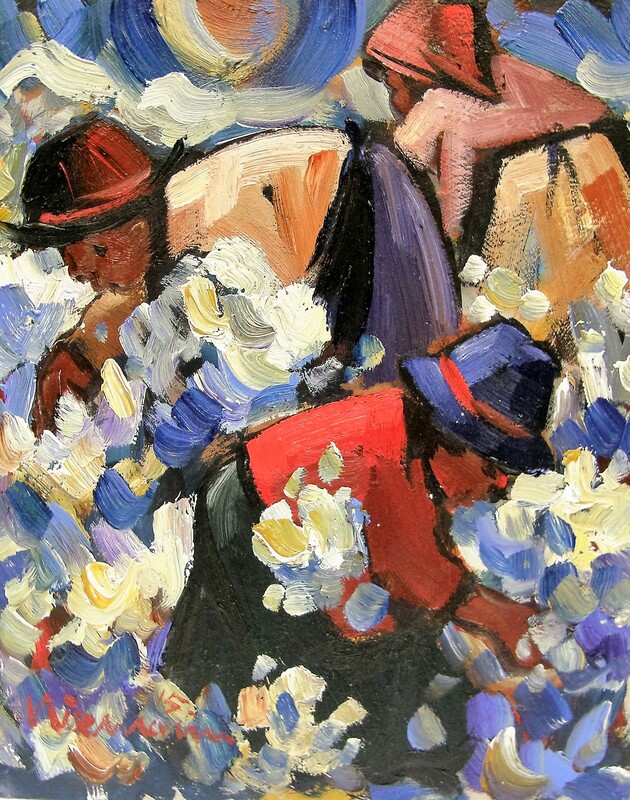 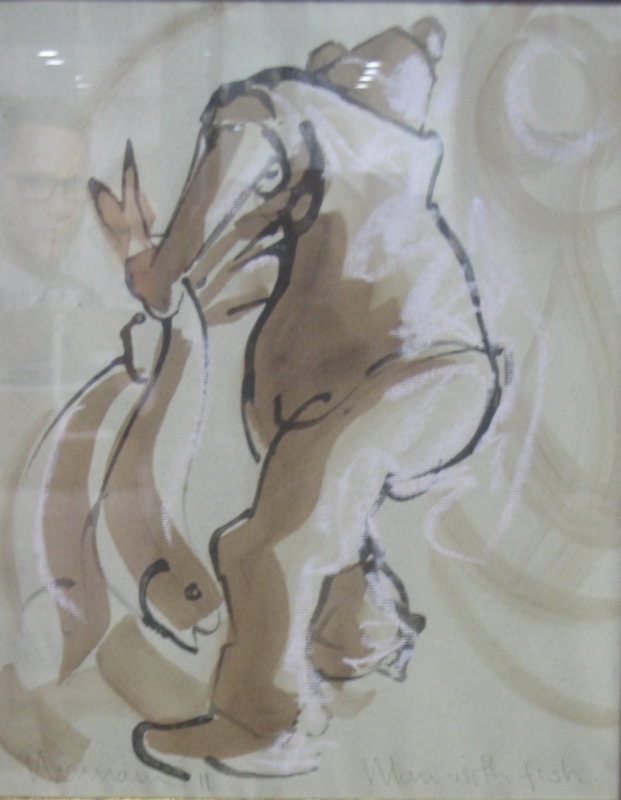 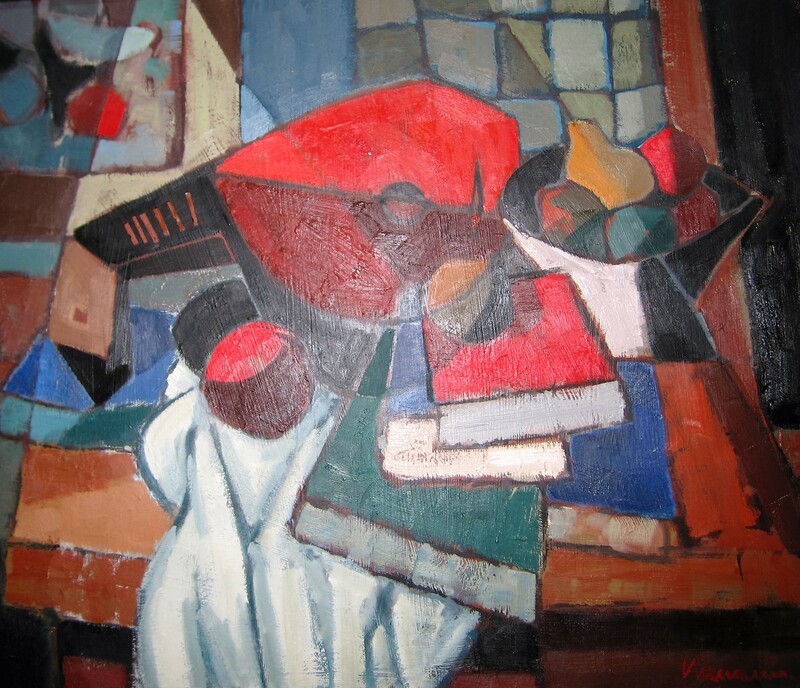 He taught Afrikaans and Physical Education for seventeen years while painting after hours. 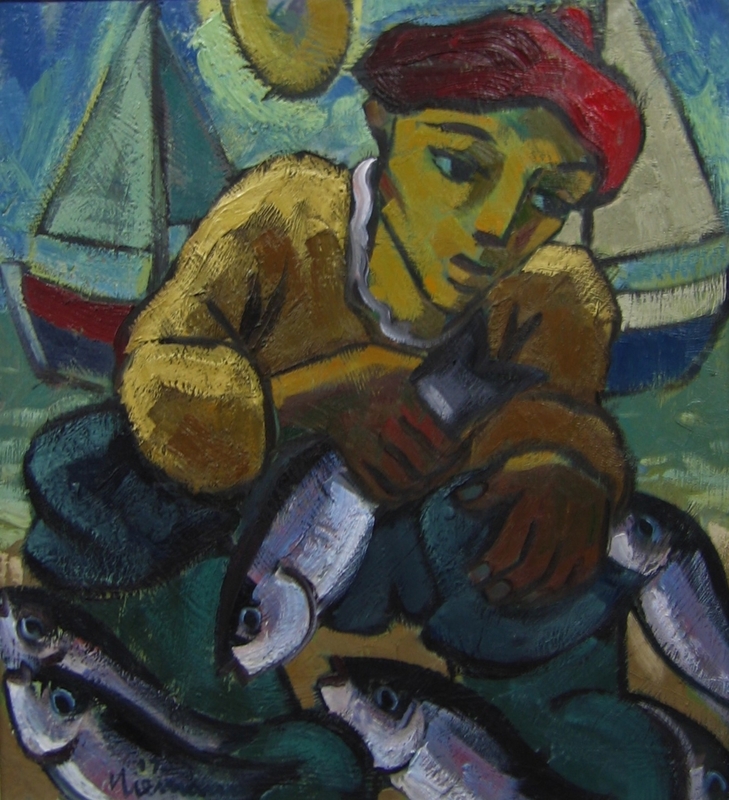 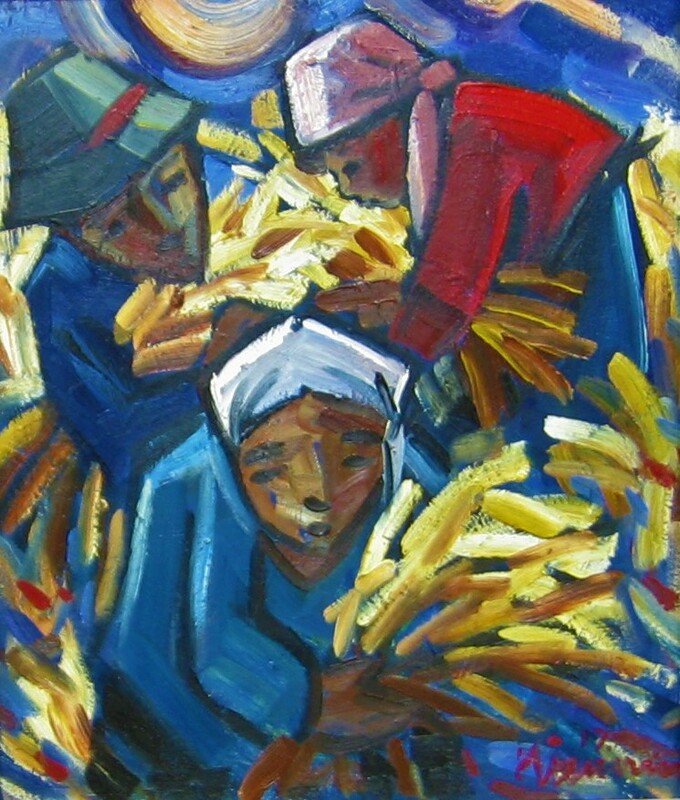 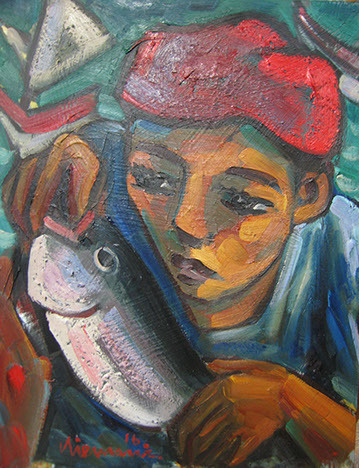 In 1983 he boldly moved his family to Onrus River, a seaside hamlet on the Cape South coast favoured by artists, to pursue a career as professional artist. 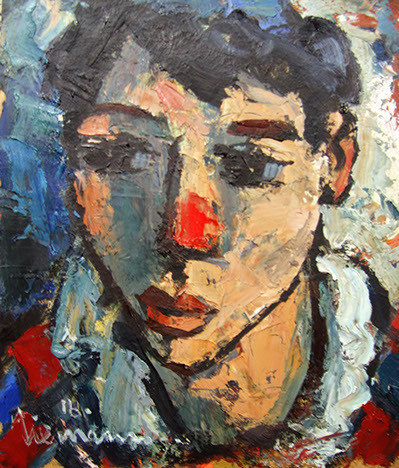 Hennie has participated in numerous group shows, as well as a number of solo exhibitions since 1956. 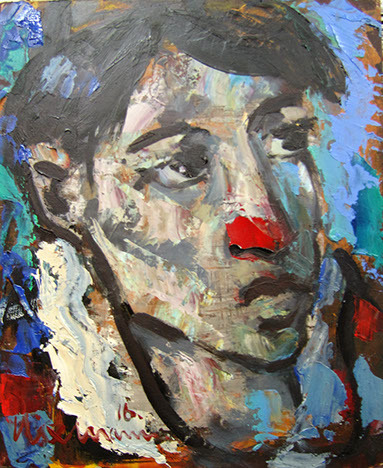 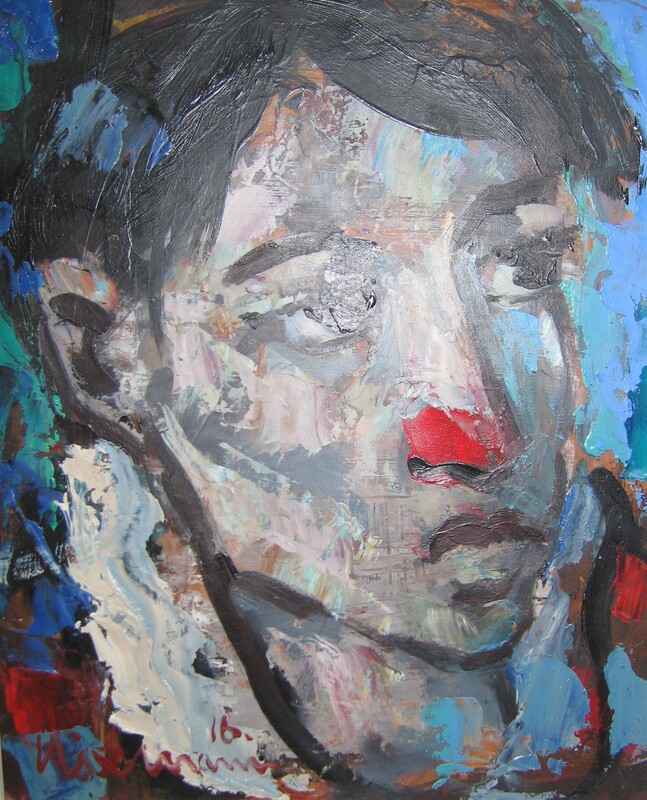 His painting approach is strongly influenced by the character and of the subject matter he is portraying. 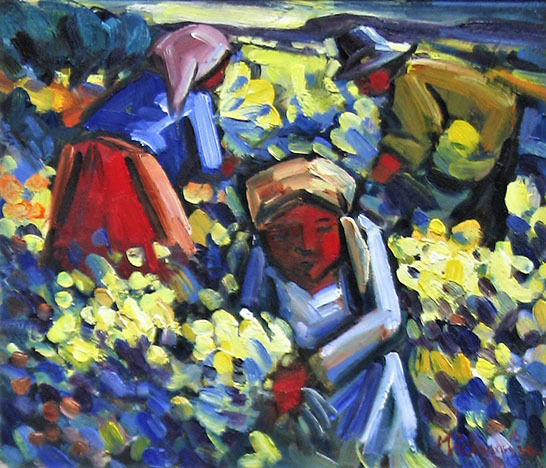 Hennie derives his inspiration from Fynbos pickers collecting bouquets of indigenous flowers and fisher folk sorting their catch. 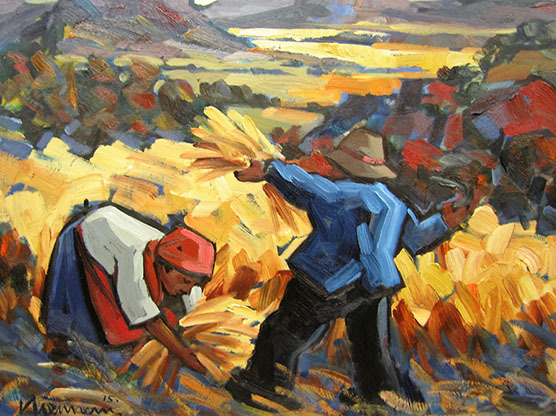 These outdoor scenes are depicted in strong sunlit colours – giving expression to the African sunlight and the buzz of activity. 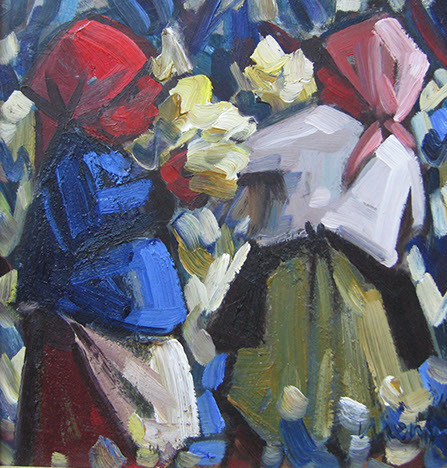 He works mainly in oils, and sometimes uses pastels over the oils in mixed media on paper to effectively create a softer more subtle finish when painting interior scenes. 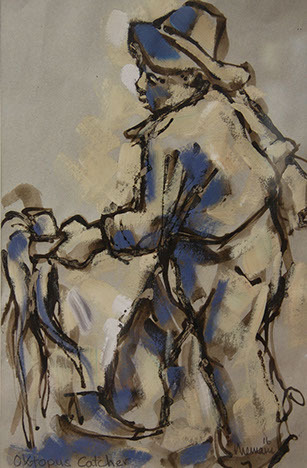 Paintings using this technique are some of Hennie’s most beautiful works, portraying his wife and daughter – his two favourite models, busy reading, sewing or simply relaxing after a bath. 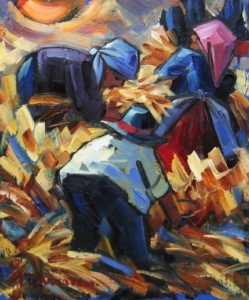 Hennnie’s glorious rich colours and choice of subject matter make his work highly prized by an international clientele, and he is represented in private collections world-wide.